Xiaonian is not a special festival. Because of local customs, festivals called Xiaonian are not the same. During the year, the main folk activities include pasting couplets, cleaning dust, offering sacrifices to kitchens, etc. The year has different concepts and dates in different places. 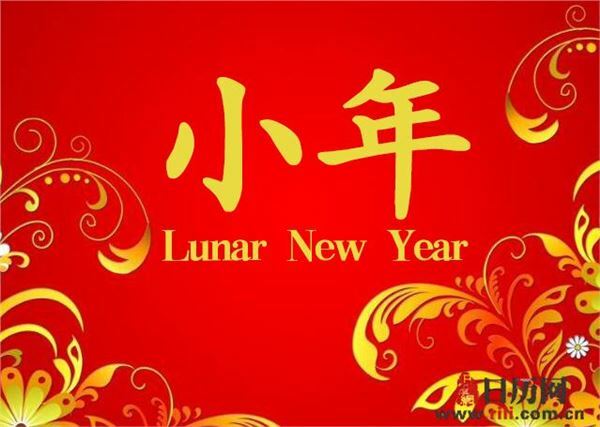 The northern area is December 23, the southern area is December 24, Jiangsu, Zhejiang and Shanghai areas call "December 24" and "the night before New Year's Eve" as the year, Nanjing area calls the Lantern Festival on January 15 as the year, Yunnan part is January 16, southwest and northern minority areas are New Year's Eve. The new year also means that people begin to prepare for the New Year's Goods, and prepare for a clean and clean New Year. It means that the New Year should have a new atmosphere. It expresses the good wish of the working people of China to renounce the old and welcome the new and welcome the good fortune. In one of the most distinctive traditions of the Little New Year is the burning of a paper image of the Kitchen God, dispatching the god's spirit to Heaven to report on the family's conduct over the past year. The Kitchen God is then welcomed back by to the home through the pasting of a new paper image of him beside the stove. From this vantage point, the Kitchen God will oversee and protect the household for another year. Most of the offerings are sweets of various varieties. It is thought that this will seal the Kitchen God's mouth and encourage him to only say good things about the family when he ascends to heaven to make his report. According to Chinese folk beliefs, during the last month of the year ghosts and deities must choose either to return to Heaven or to stay on Earth. It is believed that in order to ensure the ghosts and deities' timely departure people must thoroughly clean both their persons and their dwellings, down to every last drawer and cupboard. Guandong candy, a sticky treat made out of glutinous millet and sprouted wheat, is a traditional snack that Chinese people eat on the Festival of the Kitchen God. As the old Chinese saying goes, whether they're rich or poor, people often have a haircut before the Spring Festival. The activity of taking bath and haircut is often taken on the Little New Year. People start to stock up necessary provisions for the Spring Festival since the Little New Year. Everything needed to make offerings to the ancestors, entertain guests, and feed the family over the long holiday must be purchased in advance.